This 5-Day Challenge will take you from inaction to action, from contraction to expansion. Click below to enter your email and sign up today! 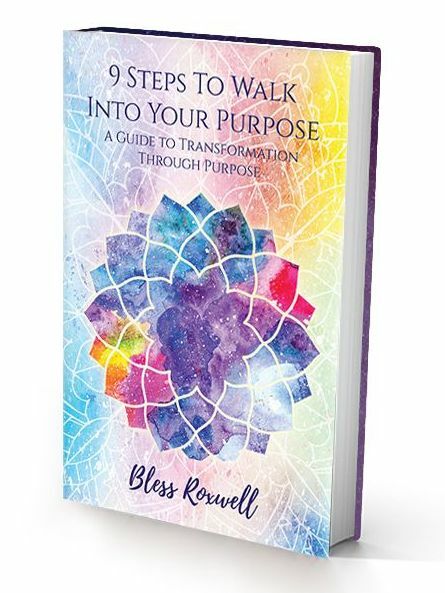 9 Steps to Walk Into Your Purpose is a condensed, DIY version of the Walk Into Your Purpose Program now available on Amazon in Kindle and print editions. And the truly exciting news is that it’s also now available in the Energetic$Exchange right here on the LBE website where you can get your copy autographed if you wish!! Are you ready to Walk Into Your Purpose and embrace your transformation? When we experience major transformations in life, it can feel as if we’re losing control, with the ground shifting under our feet, and we’re just trying to hold on. And, yes, life changes and transformations can feel that way, but they don’t have to. We can equip ourselves with support from coaches and therapists, as well as various healing tools and modalities. We can choose to allow our transformations to serve our purpose, thus drawing meaning out of our experiences. Click HERE to get your Kindle Edition from Amazon!! Click HERE to get your PRINT copy from Amazon!! Click HERE to get your Print copy from the LBE Store!! Don’t have a Kindle? That’s ok, you can download the Kindle app for any device HERE for free, then download the book HERE, and start walking into YOUR purpose! Check out the LBE Blog! Our mission at LifeBEam Energetics is to provide clients with premier services and assistance in attaining their health and wellness goals. Employing a holistic approach to overall well being, LifeBEam Energetics seeks to ensure that clients feel supported throughout their journey with us. Working within the mind, body, Spirit connection, we help our clients to find balance and calm through techniques designed to enhance their connection to SELF, and thus their Divine essence. Utilizing the best combinations of Reiki, Meditation, Transformational Life Purpose Coaching, our healSELF™ Workshops, and more, it is our mission to empower those seeking balance with the tools to realign their life and purpose. I was first introduced to LifeBEam Energetics, and the founder Bless, through the Sisterhood Summit (in Brooklyn) where she presented her workshop on The Healing Paradox™. I found the workshop interesting and wanted to learn more so when she launched The healSELF™ Workshop Series I eagerly attended. I learned, among many things, the benefits of examining the “why” behind choices, and how healing can be a window into the self. I left with greater self awareness and a sense of empowerment. (Meanwhile,)...if you’re looking to uncover some of what’s keeping you stuck and gain practical tools for getting unstuck a coaching call with Bless from LifeBEam is the place to start. Sign up with your email address to receive news, updates, deals and discounts. Thank you for signing up! Please accept our gift to you, The FreeSELF Worksheet, designed to get you started on the road to alignment and balance.